A sci-fi themed flash sale has popped up on the US PlayStation Store and offers discounts of up to 75% off. The discounts last until Monday, May 15th at 11 AM Eastern / 8 AM Pacific. It's that time of month again. March's Flash Sale is here and it brings us a list of Deals from the Vault on Playstation 4, Playstation 3, Vita and PSP. If you have been disappointed by the list of games available on PS Now and don't feel like you are getting your money's worth, or perhaps are on the fence about getting it, then maybe some new games will help. 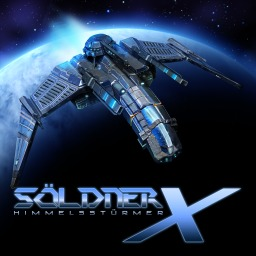 The first Söldner-X game with trophies was Söldner-X: Himmelsstürmer, which was developed by SideQuest Studios, published by eastasiasoft and released on 18 December 2008. 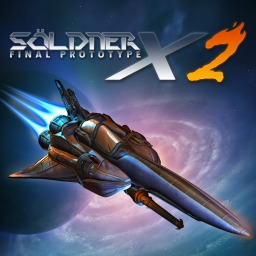 Since then there has been 1 more game in the series with trophies - Söldner-X 2: Final Prototype which was developed by SideQuest Studios, published by EastAsiaSoft and released on 26 May 2010.